Are you hoarding something in your home? Did you know some people are born hoarders? They're not lazy or stubbornly attached to their possessions; they may actually be genetically pre-disposed to live the life of a pack rat. In "Field Guide to Pack Rats: Closet Cases" psychologist Randy Frost of Smith College illuminates some of the psychology behind hoarding and offers some excellent tips for conquering your pack rat tendencies. It's also been extensively studied by scientists. Do you feel like you need to be studied or do you need an extra hour to declutter a few spaces in your home? is characterized by the persistent difficulty discarding or parting with possessions, regardless of the value others may attribute to these possessions. Up to 5% of the world’s population displays clinical hoarding behavior, or twice the number who suffer from Obsessive Compulsive Disorder (OCD.) If you think you have a real hoarding problem, reach out to a qualified therapist for help. The behavior usually has harmful effects—emotional, physical, social, financial, and even legal—for the person suffering from the disorder and family members. For individuals who hoard, the quantity of their collected items sets them apart from people with normal collecting behaviors. They accumulate a large number of possessions that often fill up or clutter active living areas of the home or workplace to the extent that their intended use is no longer possible. Symptoms of the disorder cause significant distress or impairment in social, occupational or other important areas of functioning including maintaining an environment for self and/or others. While some people who hoard may not be particularly distressed by their behavior, their behavior can be distressing to other people, such as family members or landlords. So you are probably not a hoarder, but you may have some hoarding tendencies. 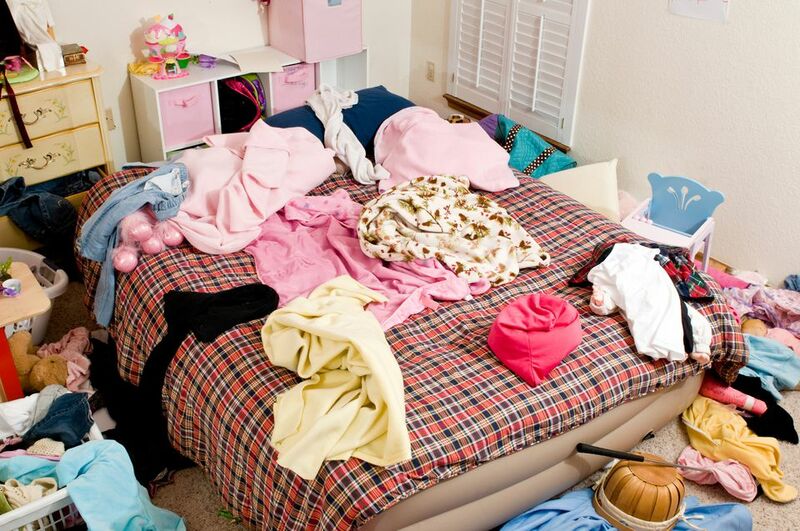 These are tips to help people with hoarding tendencies. Don't go through your home and throw everything into the dumpster at once. This may lead to strong feelings of regret and anxiety; rather, go through one small space or collection each week. Curb the tendency to put something aside "for now." Fans of David Allen's "Getting Things Done" system have been applying this trick to their email for years. Take the time to make a decision about an item in the present so you don't have to handle it again and again each time you decide to get organized. If you've kept all of your childhood report cards, choose to save one to two and toss the rest. A great tip submitted by a reader of this site: try framing or displaying one item from a collection so it's special, and then consign, donate , or recycle the rest. The same can be said for your children's artwork and collections. Have them choose two or three pieces of artwork. You can store them in their yearbook or baby book or display them on a wall. If you cannot decide to toss or keep an item, put it in a box for 6 months. If you don't open the box before then, you can let it go without regret. This is a great idea for people who hoard items like magazines, travel toiletries, and newspaper clippings. Owning a book about gardening does not make you a person who gardens and buying "Mastering the Art of French Cooking" and never cracking the book or trying one of the recipes doesn't mean you're a cook. Resist the urge to buy tokens of a new hobby until you are actively participating in that hobby. Once you start tossing the items you never use, it will be easier to keep clutter from creeping up. You'll be used to having a more minimalist approach. It's much easier to get rid of an item if you know it's going to a good home. If donating isn't a good option for you, think seriously about consignment. This way you're getting some money back for the item.